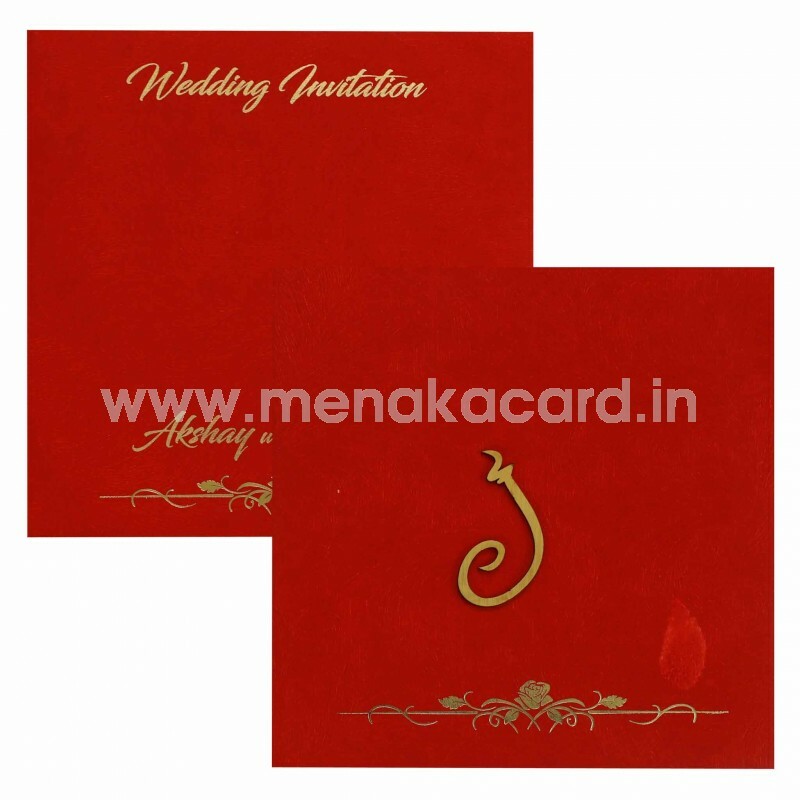 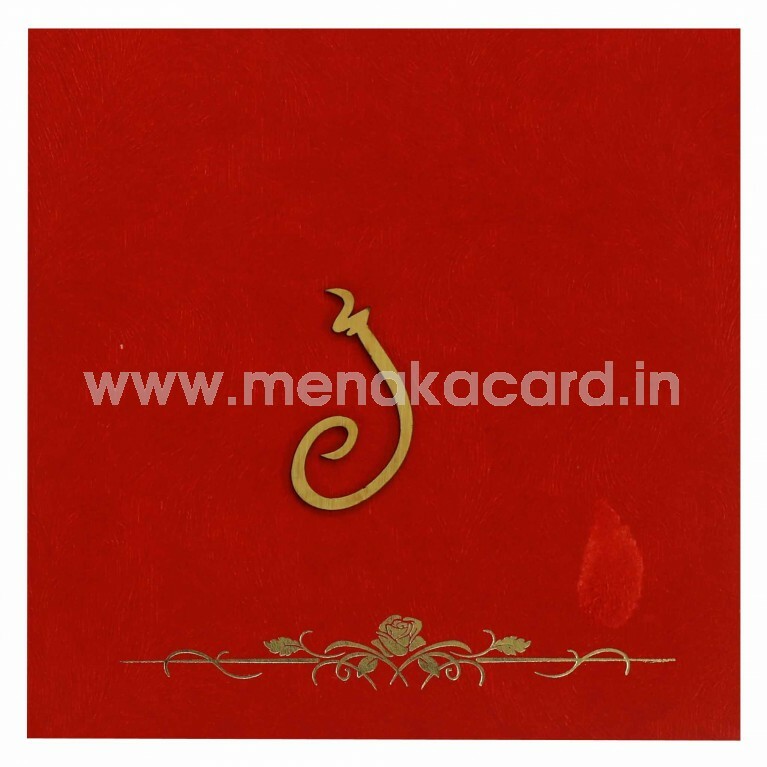 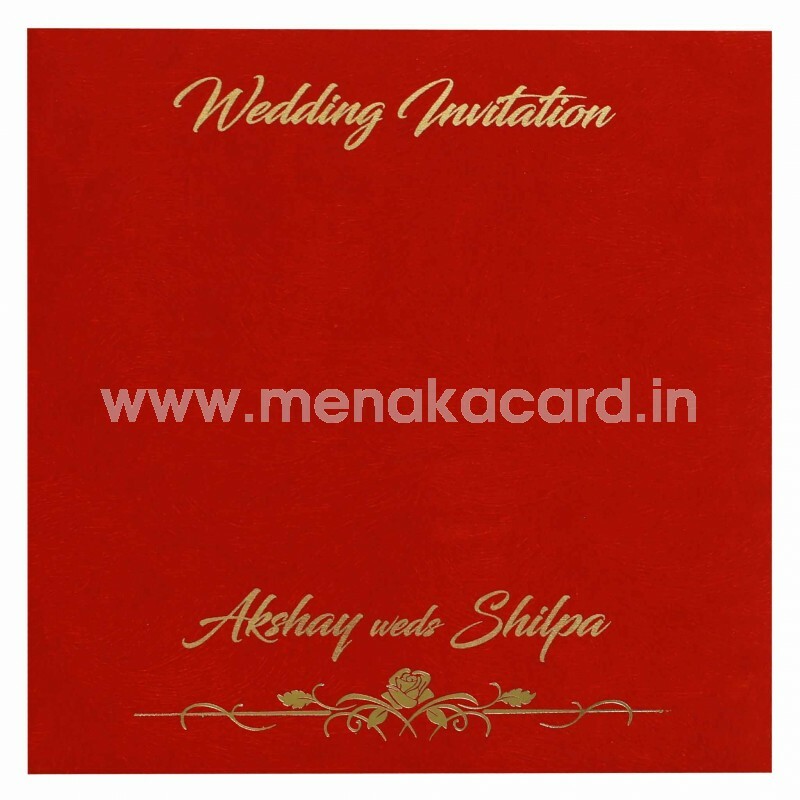 This minimalist card and envelope ooze a classy finish in the matte red brush stroke print texture artboard decorated with a beautifully contemporary gold Ganesha laser sticker on the front flap over rose ornament printed in gold foil. 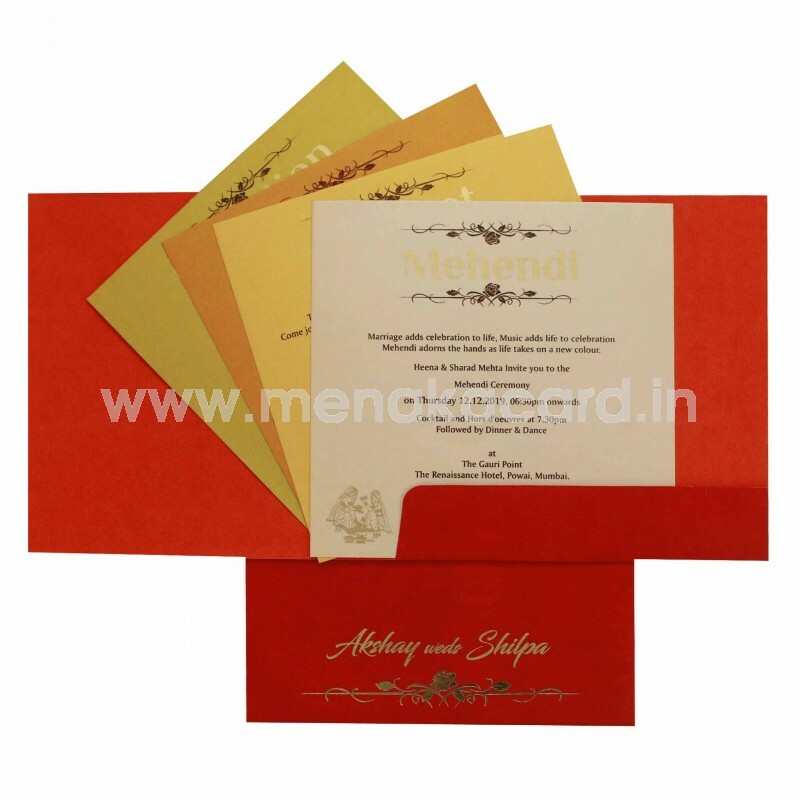 The card opens to reveal 2 default inserts in the solid flap printed in contrasting text of choice, available in cream, yellow, orange or green. This can be used for all Hindu occasions including weddings, grahapravesham, sadabishekam, upanayanam, sashtiapbthapoorthy etc.